August 7, 2016 August 3, 2016 Amanda B. It includes not one, but two write & swipe activities that you will want to use throughout the school year! It includes 2 pages of instructions on how to use both activities, 8 beautiful Roll & Add cards and 6 colourful Roll, Write & Swipe cards. The colours in this pack made me extremely happy when putting it together, it’s quite the cheerful math center! 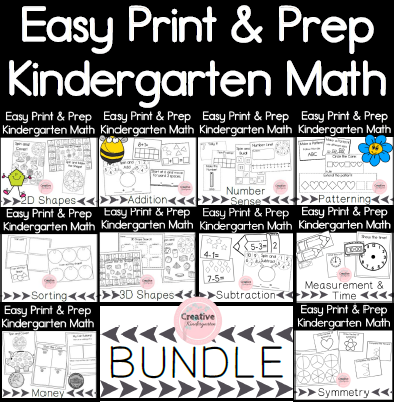 the Kindergarten Dice Math Activities Super Pack! It includes all 4 of my packs at a discounted price.